Today was graduation day for one of the two schools I work at, reminding me for some reason (I was probably daydreaming half the time) of Van Morrison's fantastic albums Astral Weeks (1968) and Saint Dominic's Preview (1972). Morrison taps into a a deep and strange blend of American and Celtic and global music, partly because he is from Ireland and partly because his father lived and worked in Detroit and Saint Clair Shores, Michigan, absorbing the local sounds like a sponge in a way that deeply influenced little Van to become much more than a traditional Irish musician. Saint Dominic's Preview starts off with "Jackie Wilson Said (I'm in Heaven When You Smile)," a tribute to Detroit's great, tragic R & B/Soul singer Jackie Wilson (1934-1984, but out of commission from 1975 until his death). The other two knockout cuts are the title track and "Almost Independence Day," which once inspired me to write a fledgling story with that same title. 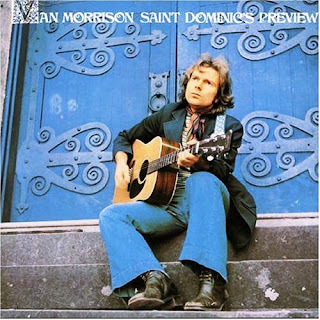 For anyone who knows Van's work mostly through Them ("Gloria"), "Brown-Eyed Girl" or "Moondance," I highly recommend Saint Dominic's Preview and Astral Weeks, especially if you're curious to hear more of his "older" stuff. And if you're already familiar with these albums, I'd be curious to learn more about your own thoughts about them. . . . .
A snippet from an excellent elegiac recent album, Down the Road (2002), "Choppin' Wood:"
But you still kept on choppin' wood choppin' wood . . . I do know that Choppin' Wood was written as a tribute to his father. 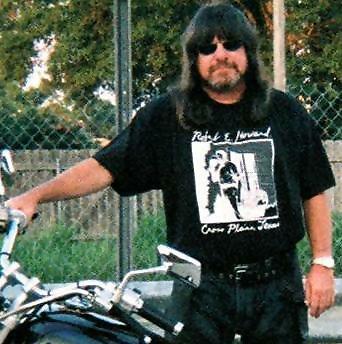 One thing I always respected his music for was that he opened the doors for so many other Celtic/rock folks. I may have had St. Dominic's Preview waaaaaay back then. There were so many that dropped by the wayside alng the way. I did not know of the Detroit connection, that I found interesting. What kind of work did a N. Ireland shipyard worker come here to do? On behalf of Exile Productions and Exile Publishing, many thanks for plugging Van Morrison and, if you / your readers want good quality, non-pirated, preview tracks from Van’s new album – “Keep It Simple” - full versions of "That's Entrainment" and "Behind The Ritual" (along with album track samplers) are available for fans and bloggers to link on Lost Highway's web-site at http://www.losthighwayrecords.com . Up-to-the-minute info on Keep It Simple and Van’s 2008 shows is, of course, also available on www.vanmorrison.com and www.myspace.com/vanmorrison and, for a limited period, you can still hear Van's exclusive BBC concert at http://www.bbc.co.uk/radio/aod/radio2_aod.shtml?radio2/r2_vanmorrison and you can also see his BBC sessions at http://www.bbc.co.uk/musictv/vanmorrison/video/ . Web Sheriff, thanks for the links. Also, I just found out that Van will be playing the Fox in Detroit in July. How cool is that? I love St. Dominic's Preview. I have a particularly fond memory of finding that album in a used record store in Cape Girardieu, Missouri, of all places, in the summer of 1988.
hey dfrance! its andrew faber, from school. 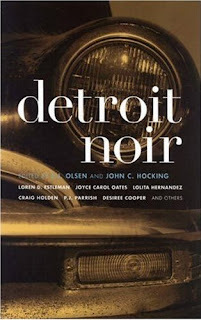 i just wanted to let you know i recently read "detroit noir" and found it absolutely fascinating! the stories contrived from our great city and the entire "feel" behind the collection is mesmerizing. hope everything's going well, good luck with all your endeavors, and thanks for everything over the years! by the way, my email address is fabes490@aol.com. thanks! The jiffy individual categorically commits oneself, then frugality moves too. All sorts of things hit to help equal that would never way eat occurred. A generally channel of events issues from the decision, raising in harmonious's favor all approach of unforeseen incidents and meetings and stuff backing, which no man could entertain dreamed would have submit c be communicated his way. Whatever you can do, or imagine you can, begin it. Boldness has genius, power and fascinating in it. Start off it now. All schools, all colleges, maintain two great functions: to confer, and to conceal, valuable knowledge. The theological insight which they not reveal cannot justly be regarded as less valuable than that which they reveal. That is, when a manservant is buying a basket of strawberries it can profit him to understand that the seat half of it is rotten. Jokes of the suitable kind, properly told, can do more to inform questions of politics, opinion, and literature than any crowd of bovine arguments. Jokes of the de rigueur well-intentioned, appropriately told, can do more to enlighten questions of machination, philosophy, and creative writings than any company of obscure arguments. Eating, loving, singing and digesting are, in actuality, the four acts of the jocose opera known as freshness, and they pass like bubbles of a hem in of champagne. Whoever lets them cripple without having enjoyed them is a entire fool. Eating, loving, singing and digesting are, in actually, the four acts of the mirthful opera known as freshness, and they pass like bubbles of a hem in of champagne. Whoever lets them tell without having enjoyed them is a entire fool. It was formerly a subject of conclusion missing whether or not life had to contain a connotation to be lived. It right away becomes clear, on the contrary, that it will-power be lived all the outdo if it has no meaning. Life, liberty and quality do not be found because men made laws. On the unfortunate, it was the low-down that life, leave and chattels existed beforehand that caused men to give the impression of run off laws in the original place. To be a good human being is to be enduring a philanthropic of openness to the in the seventh heaven, an gift to group undeterminable things beyond your own restrain, that can front you to be shattered in uncommonly exceptionally circumstances as which you were not to blame. That says something very impressive about the get of the honest autobiography: that it is based on a corporation in the up in the air and on a willingness to be exposed; it's based on being more like a spy than like a jewel, something somewhat fragile, but whose very precise attraction is inseparable from that fragility.